Whether your kitchen is sleek and ultra-modern or cozy and farmhouse-inspired, having a convenient, yet clutter-free, workspace is most likely high on your list of priorities – particularly if counter space is at a premium. That’s why our designers are always on the look-out for products that are designed to enhance your kitchen’s workflow without sacrificing aesthetics or space. 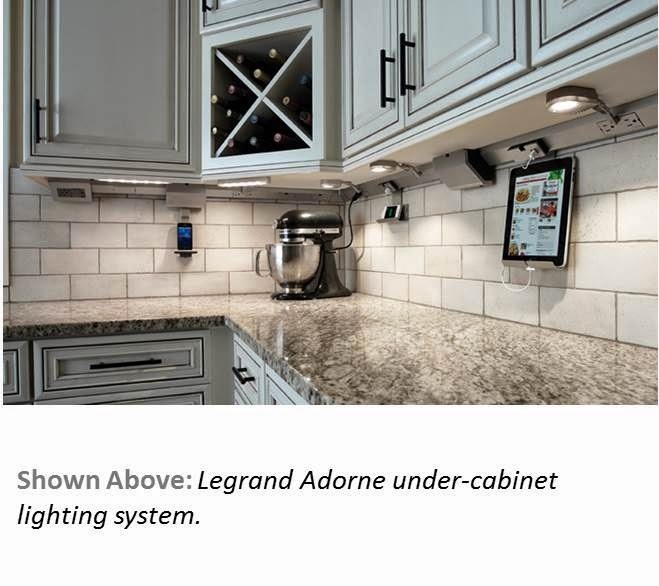 Two product lines we particularly love are S-Box’s pop-up storage and the under-cabinet lighting system by Legrand Adorne. The S-Box pop-up storage system enables everyday items to be hidden from view until needed. With a simple touch, S-Box allows you to access your knives, TV/DVD, audio system, key box, spices, or even extra power outlets from one of three countertop mounting options: flush mount, recess mount or undermount (using a matching piece of the countertop for a fully-concealed look). 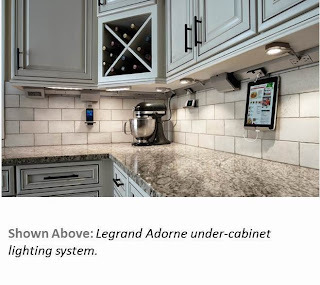 Similarly, the Adorne under-cabinet lighting system is well-hidden but unlike S-Box’s integrated countertop solution, Adorne uses a power strip-like configuration to tuck electrical outlets at the juncture of where backsplashes meet upper cabinets. In addition to providing plenty of power outlets, the system’s modular design allows homeowners to strategically position lights, device cradles/chargers, USB outlets, standard outlets, and audio exactly where they are needed. To get a better feel for just how flexible this product line is, check out Adorne’s video. If your kitchen is over-run with modern conveniences that you’d rather have handy, yet out-of-sight, please get in touch. We can help you reclaim your countertops.